Gorgeous 4 Plex building built in 1972, consisting of 1 3 bedrooms 2 bathrooms, 2 2 bedrooms 2 bathrooms and 1 2 bedrooms 1 bathroom. Pride of ownership, Each unit has an individual meter for gas and electricity. 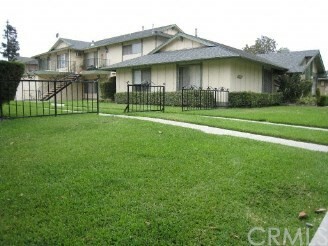 The building has very nice curb appeal with plants, trees, flowers & grass surrounding the property. The scheduled rent income is more than $100,000 annually now. It’s great investment with prudential uptrend in rent in the near future. The whole building has been newly & completely upgraded for all 4 units with Tuscan Vinyl energy efficient dual pane windows and each unit has been completely remodeled from top to bottom inside of each unit. Newly Installed No.1 rated Mitsubishi Split Ductless A/C (12K BTU covering the cooling area of 900 SF) in all master bedrooms for Unit 1, 2, 3 in 2018, Newly Installed wall mounted A/C (12K BTU) covering the area of 800 SF in all kitchen & living rooms for unit 2,3 in 2017 and newly installed wall mounted AC (18K BTU) covering the area of 1000 SF for unit 1 in 2018. Beautiful, nice and quiet 4 Plex building has been well maintained by a caring landlord for more than 10 years.